WATCH: Cher, Looking Damn Good, Sings "A Woman's World" On The Voice. Did We Mention She's 67? - POP GOES THE WEEK!! WATCH: Cher, Looking Damn Good, Sings “A Woman’s World” On The Voice. Did We Mention She’s 67? Yep. 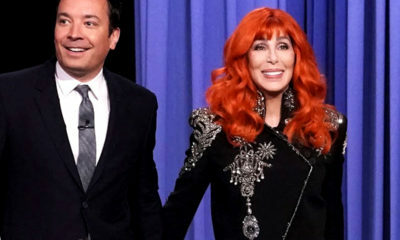 67, and Cher is still rockin’ a hot pink headdress and making people scream! For more music updates, follow @BrianBalthazar on twitter! GOTTA SEE THIS: Guy Performs Awesome Dance Number On America’s Got Talent.